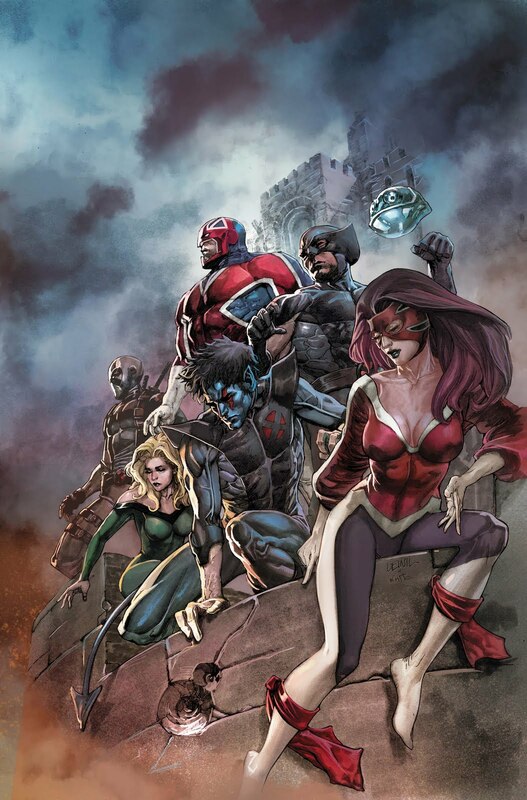 Marvel has released the full list of comics and collections coming out in March 2012, including the following Deadpool comics and collections. Click on any item for more details. • ’Pool’s Epic “Dead” Storyline Continues! 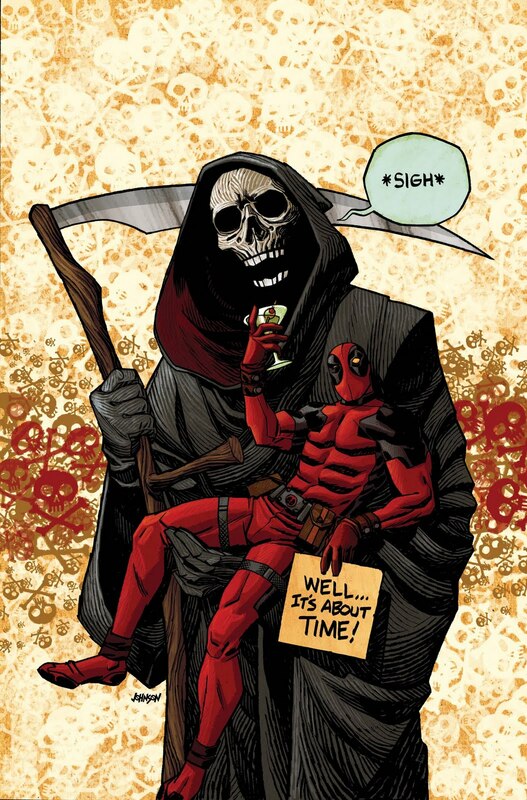 • Deadpool Wants To Die…Can He Make It Happen? • Will X-Force Stop Him…Or Pull The Trigger? • The Gang’s All Here! Deadpool, Hydra Bob, Cable And Taskmaster Team Up To Take Down The Shadow Government That’s Running The Country. • Death, Betrayal And Fart Jokes! • The Trial Of Fantomex Concludes! • A Terrible Choice Must Be Made For The Protection Of All Reality! What would happen if a collection of Deadpool’s frozen, severed body parts were to be thrown into a dumpster and then, once thawed, fuse together to form a new — and totally evil — Deadpool? Well, we could tell you — but it’d be way cooler if you read it for yourself! Collecting DEADPOOL (2008) #45-49 and #49.1. Deadpool travels home to Earth, but Macho Gomez is waiting for him, and he’s brought some of Deadpool’s old “friends” — including Hydra Bob, Big Bertha, Taskmaster and Blind Al. They all have one thing in common: Wade screwed them, and they want his hide! Then, Wade gets what he’s always wanted: a chance to die! With his ridonkulous healing factor, Wade can’t be killed by any ordinary Joe — so he finds the biggest, strongest, greenest and angriest guy in the Marvel Universe: the Incredible Hulk! It’s a last-man-standing battle between the Green Goliath and the Merc with a Mouth — a battle Wade’s trying to lose. The question is, can he? Plus: In a bonus tale of Deadpool past, Wade must procure a vial of the Hulk’s gamma-irradiated blood! Collecting DEADPOOL (2008) #36-39 and DEADPOOL (1997) #4.